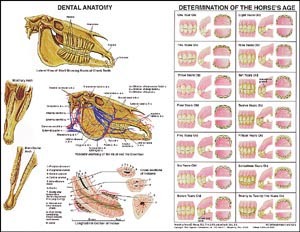 Durable laminated poster depicts the anatomy of the skull, showing the roots of the teeth and corresponding vascular system. Detailed age determination illustrations from age 1 year through 25 years. 20" x 26" size and laminated on both sides in heavy plastic.